UNIQUE CHARACTERISTICS: GREEN GEM FICUS is a very hardy tree, that is particularly great for banyan-style bonsai. Roundish-green waxy leaves. It can be grown indoors and outdoors with beautiful pads and great aerial roots. Produces tiny narrow leaves and ornamental figs. 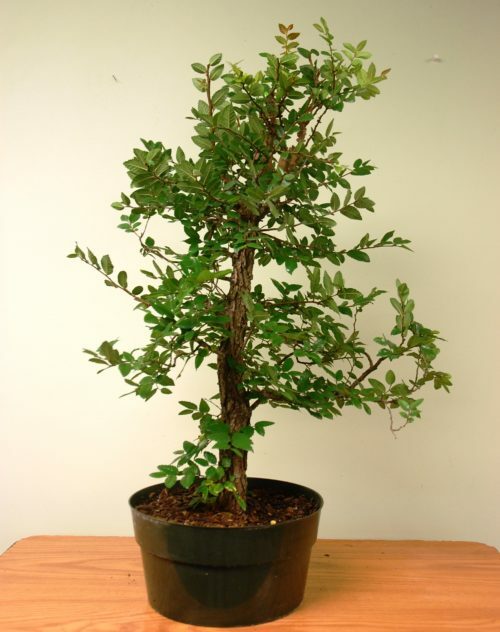 Ficus likes full/ partial sun and moderate water and fertilizer. Tropical tree, keep away from freezing temperatures.